The surgery performed to get rid of breast cancer relieves one from the deadly cancer but leaves pain in the operated area. The surgery aims at elimination of lymph nodes during mastectomy without removing the breast tissue. This is the main reason behind the post operational pain. In this article we will tell you about ten effective exercises for breast cancer survivors. This is a very good stretching exercise to help in relieving post-surgery pain. You need to stand erect facing the wall. Maintain a distance of about eight inches from the wall. Now place the tips of the fingers of the impacted side of body on the wall. Finger tips should be at the level of hip and palms should face the floor. Now try to walk fingers up on the wall by climbing as much as you can. Hold your hands firmly at the place for nearly about ten seconds. Now again bring back the arms to the starting position. Perform this set for five repetitions with the next arm. This movement also exercises the upper body including chest and arms region. To do this stretch you need to bend a little forward at the height of waist. Let the arm which has been operated hang toward the floor. Try to make tiny circles using hand and keep swinging the arm smoothly without exerting any pressure. Make ten full circles in clockwise as well as anti-clockwise direction. Now perform the same move with other arm as well. This is one of the most effective exercises which stretches your chest and loose up the chest muscles. To do this exercise you are required to stand erect facing the door. Now gently press the forearm of your affected arm against the door frame. Keep your elbow at the height of your chest. Slowly bend forward a little till you experience some stretch in your chest. Hold this position for twenty seconds. Come back to the starting position. Return back to the initial position. Do five rounds of this exercise. Repeat the same exercise with the other arm. Chemotherapy results into loss of bone density. One can perform only light weight training post-surgery stage to rebuild muscle and bone strength in the body. Leg curl is a beneficial exercise which can be done by placing a band under the foot to do bicep curls. Breast cancer survivors would surely find some solace indulging in this enjoying water sport. This exercise helps in strengthening the limbs and the various other significant muscles that may have become weak after the surgery. Paddling also assists in lessening the swelling of the limbs. Meditation gives relief from chronic affliction. It calms the spirit and the anxious mind which is natural in pain afflicted cancer survivors so that you can carry on with the routine tasks with the same enthusiasm. Sit comfortably on a chair and grasp a light weight dumbbell in both the palms. Now raise your arms to the height of shoulder in the form of a broad arc. Now bring them down to the resting state. Do this for ten repetitions. This is a very efficient exercise for the triceps, chest and arms region. Sit comfortably and grab weights in both the hands. With elbows at sides, bend them and bring them up to the height of shoulder. Do this movement for ten repetitions. 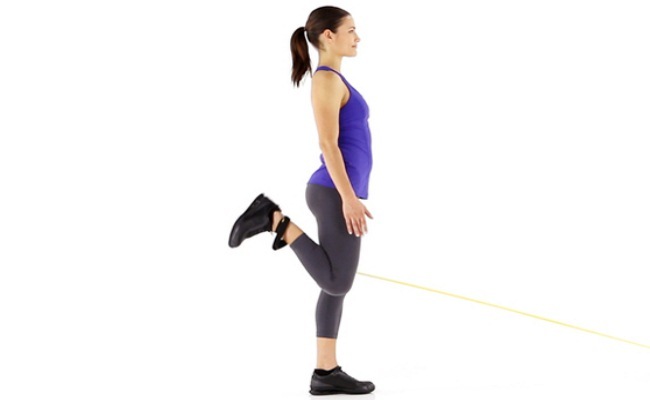 Take the position of a partial lunge keeping your right leg in forward position. Slightly curl it and keep the left leg completely straight. Rest your feet parallel to the floor and let your right elbow rest on your right thigh for assistance. Grab some weight in your left hand and slightly bend your left elbow to the side of your waist. Let the chest face the floor. Do ten rounds of it and repeat with the next side. 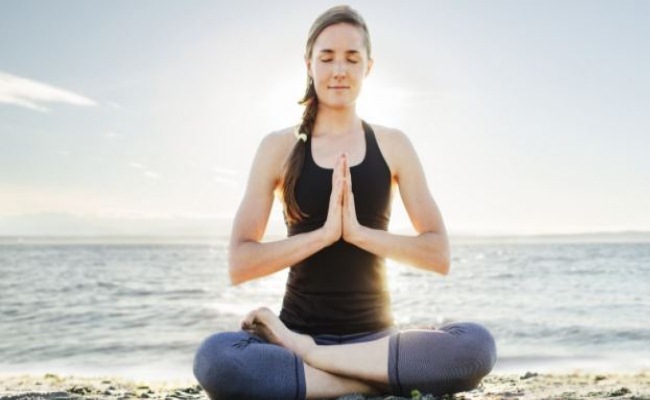 Yoga is considered to be a powerful exercise which really helps survivors of breast cancer. Yoga is a low duty workout that firms the muscles of your body without making you tired. Cobra pose is one such beneficial yoga pose which exercise your upper body efficiently. To do this pose you need to lie down on your stomach. Now keeping your hands on the either side slowly raise your upper body. Your eyes should face the ceiling. Feel the stretch on the neck, arms and chest. You would feel like taking good amount of rest till the pain you are experiencing in the underarm subsides but it is important not to leave exercising your body. Less or negligible movement could lead to stiffness and can alleviate the pain after surgery. It is thus important to stretch the body areas on the daily basis to reduce pain and quick recovery.